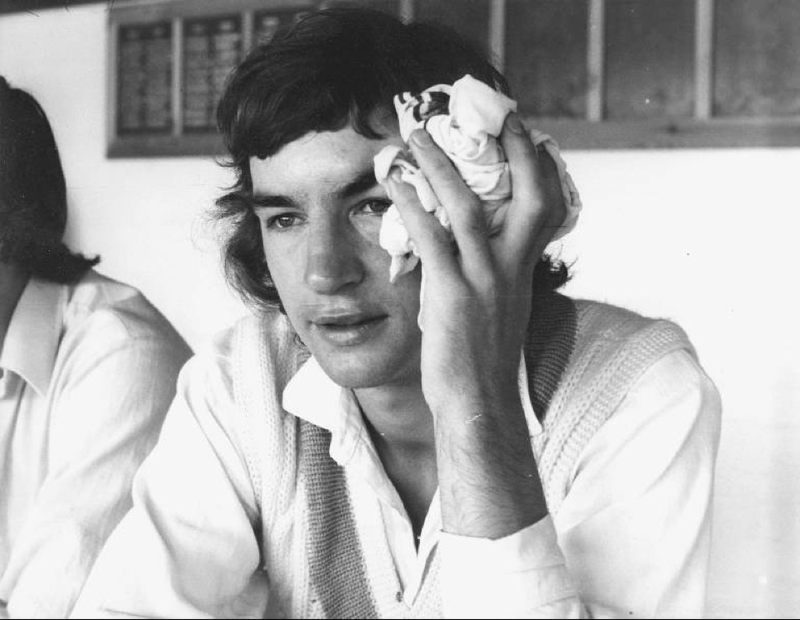 There were many occasions when I watched from the boundary in the Parks in Oxford, when Peter was playing there. What I recall is how rude all the men were on those occasions when I wanted to send messages to him. 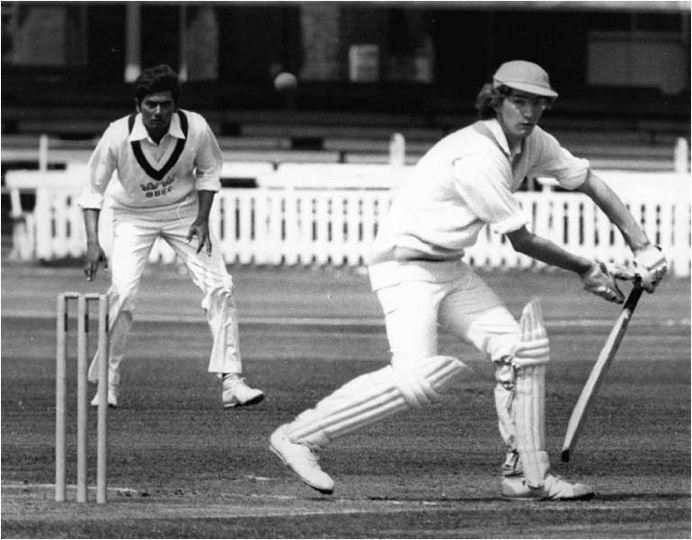 I couldn’t speak to him if he was waiting to bat or had finished batting because I wasn’t allowed in the pavilion. Talking to him while he was fielding had to be very brief. Various bemused people used to say they’d try to get a message to him. But no message ever got transmitted properly. As a result of this various arrangements to meet up later fell apart. Then one day, Peter was again playing in the Parks, this time for the Combined Universities, and my parents had phoned to ask me to give him an important message at the end of morning play. 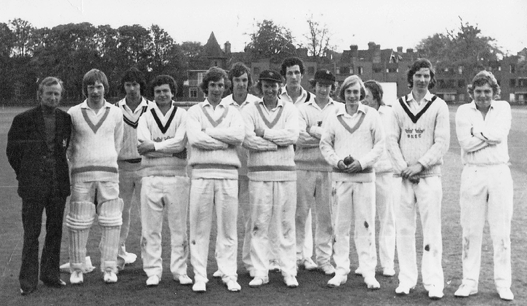 Since I was never allowed on the pavilion, and even when I was captain of the Oxford University Women’s Cricket Team, I was only permitted to go in the back door, and then into one room to collect our kit, and straight back out again, I was not very hopeful. However, it was the morning that the Finals results had been published. So I approached the steps, asked someone to find Peter Roebuck as I had a message for him from the Law Don at Emmanuel College. This was not untrue, as the late David Williams, had phoned my parents that morning to tell them. And it did the trick. The rest of the story is now a family legend. A dishevelled Peter emerged from the depths of the Pavilion, and saw me. I told him he had got a 1st. This was greeted with almost disinterest, but was followed by an enthusiastic …and I’m 43 not out against the Australians! And to make matters worse he had got great holes in his socks. 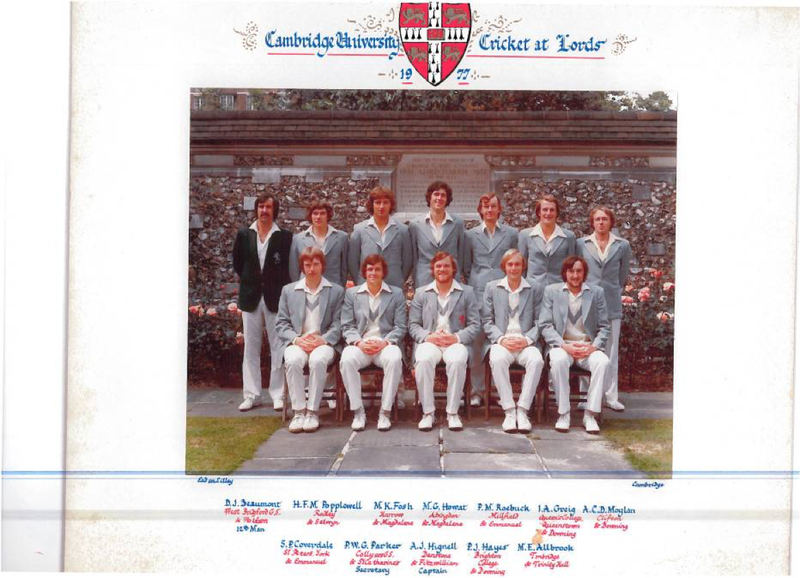 Cambridge University 2nd Year, Alistair Hignell Captain in centre.